Utilizing the experience we have gained over the years, Eternity Group offers our customers a variety of freight forwarding services. Whether by air, sea, land or sea-air, Eternity will treat every shipment with extra care to ensure correct handling from the time it is picked up to the time of its delivery. Eternity Group can provide cost-effective and flexible solution to our customers. Our NVOCC service serves over 90 destinations throughout the Caribbean, Central and South America. With our tailor-made sailing schedules, our customers can be guaranteed with high-frequency sailings, optimum transit times, reliable departures and arrivals and highly competitive rates. Our buying power of volume and long-term relationships with major ocean carriers in the region allowing us to get our customers the most cost-effective solutions within their budget and schedule. In collaboration with our overseas business partners, we can provide extremely competitive door-to-door service to all destinations in the Caribbean, Central and South American. So, Whatever the commodity, regardless of its size or weight, Eternity Group can satisfy our customers’ needs and expectations rapidly, reliably and cost-effectively. Our land forwarding service ensures our customers with a door-to-door capability in the movement of consignment from origin to destination. Our modern fleet of trucks is ready it deliver our customers’ FCL or LCL consignments anywhere in Taiwan and China at the most competitive rates. 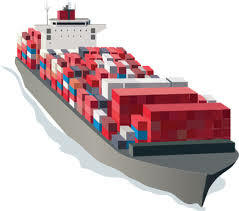 As a full-service freight forwarders, Eternity Group also provides a sea-air freight forwarding program as alternative to the all-sea and all-air services for shipment bound for the Caribbean, Central & South America, and customers will enjoy greater flexibility and more delivery options for the money. To compete in the business world of today, it is vital to source globally. Over the years, Eternity Group has created a network that covers every part in the Asia Pacific region. With its extensive network and consolidation facilities in Hong Kong, Eternity can consolidate multiple shipments from various sources in Asia Pacific and ship them to any destination in the Caribbean, Central & South America punctually and economically. On behalf of the buyer, Eternity Group can also monitor the status of orders placed with the vendors and provide order status upon the buyer’s instruction. The diverse nature of customs requirements around the world makes the need for expert advice essential. Customs regulations may vary from country to country, from place to place. Compliance or knowledge of these requirements is essential to the smooth dispatch and delivery of a consignment. Our house customs brokerage is part of our door to door service ensuring customs expertise for your import and export shipments are always on hand. In today’s fast paced business environment, it is crucial to offer a variety of information services to customers and other business partners to quickly access the shipment data To meet customers’ diverse requirements, Eternity Group has built its entire systems platform using the most advanced information technology empowers our employees totalize information to add value to the customers’ logistics process. Our strategically located warehouse in China and Taiwan provide our clients with the most cost-effective regional distribution and warehousing services. Through the professional warehouse management service by in-house experts, our clients can enjoy the economies of consolidated shipments, shortened inventory and delivery cycles and just-in-time local delivery and shipment collection. A perfect combination of human resources and experience give Eternity Group the leading range in providing a professional Logistics management service. No matter whether our clients logistics concern is cost, service implementing a logistics program to complement their supply chain management or continuous replenishment program, we will provide the infrastructure, tools expertise and resources to turn the logistics process into and area of competitive advantage for our clients. China’s economic reform has created an unprecedented surge in the movements of cargo of all types to and from this huge market. In order to provide the optimum solution for consignments originated from or destined for this huge market, Eternity Group has established an extensive network in China as well as the Caribbean, Central and South America. This facilitates customers’ control of production and delivery with optimum transit times and reliable departures and arrivals, at highly competitive rates.